This is the most comprehensive guide to Build a House In Brisbane on the planet. I’m going to show you the techniques to build a home in Brisbane that are working right now (in 2019). In short: if you want to construct your own home, you’ll love this guide. Hey guys, it’s Jayden Vecchio. Unlike most so-called property “experts”, I practice what I preach. In fact, I’ve used the strategies in this guide to build my own home. And in this guide, I’m going to show YOU how to build a home in Brisbane. In this chapter, we’ll cover the basics. First, you’ll learn exactly how to crunch the numbers to determine your price range. I’ll also explain why your deposit is so important for building a house in Brisbane. How is building a home different from buying an existing house? The construction of a home on average takes 4 to 12 months to build in Brisbane, so during this time, you will need to find somewhere else to live. Compared to buying an existing house where you purchase the home in one go and you can move in right away. And this was my home after construction. There are lots of positives, and negatives to building a home. In general, an existing home will be closer to the city than a new home, as vacant land is rarely in the inner city. Building a new home allows you to access the First Home Owners Grant, as well as designing your dream home or as an investment, you can claim depreciation benefits over the first few years. It really comes down to your personal choice, and goals of what you want to achieve. How do you build a home in Brisbane? How does mortgage broker help you build a house? To build a house you are going to need a loan. A good mortgage broker can help with much more than just getting a loan. A mortgage broker can help with sourcing home loans to build lots of different styles of houses. 💰Crunching your numbers – helping work out what you can afford to build, or if you will need to look at saving some extra money or closing a personal loan or credit card before talking to the banks. Having a clear picture on your budget will help you find the perfect block of land, and home for you. 🏅 Acting as your own personal finance coach – the best mortgage brokers can help with strategies to save more deposit and setting goals so when it’s time to start building your home everything is ready to go. They will keep you on track and moving towards your goals of building a home in Brisbane. 😭 Making sure your loan doesn’t get declined – Did you know that over 40% of loan applications were declined this year? Don’t get your loan declined to apply for a loan through a lender that doesn’t do construction loans. It is common for there to be issues with valuations, and a bank might want you to put in extra money at the last minute. Don’t get caught out. Also, did you know that not all banks can do construction loans? ING and Ubank are two banks that cannot do construction or renovation loans, so your loan will get declined if you try to get a house built with them! 🏡 Guiding you through the build process – The build process can be complicated, and involves organising lots of different parties from the real estate agents, solicitors, builders, architects to your accountant… A good Mortgage Broker will help guide you through the process. 👷‍♀️Completing the staged progress payments – Once you have started building your home, the builder will require 6 stages of payments before the property is completed – The deposit, the base, the frame, lock up, fixing and the completed stage. There is a MASSIVE amount of paperwork involved in arranging payment from the bank to the builder which the best mortgage brokers will manage for you. A good Mortgage Broker can help you get your house build quickly and easily. In today’s market, it is common for bank valuations to vary from 5-15% between different lenders. One bank might value your completed home at $500,000. The next bank might think it’s worth $425,000 (15% less) and YOU would need to find an extra $75,000 to put towards your deposit!! Banks can put grossly different valuation figures on your property and never give you a reason you need to protect yourself or else you will need to find extra money to put towards your deposit. When we get finance approved we arrange for a bank valuation on the new house and land (sometimes called an on completion valuation) before we submit a home loan application. This means you won’t get caught out with a bad valuation, and if we do we can look at another bank! Interest Rates 📈: This is the rate of interest your bank charges, this is applied monthly but calculated daily and while it is important to make sure your interest rate is as low as possible it is also important to consider the loan features fit in with your future goals. For example, an introductory interest rate might be cheap for 2 years, but after that term, it will go back up significantly. Loan term 🔢: The total number of years it will take to repay the loan, this is typically 25 to 30 years in Australia. Monthly Repayment 🗓: This is the loan repayment you make each month. You can also change the frequency to weekly, or fortnightly if you prefer. Ability to make extra repayments 💸: Some banks will limit your ability to make extra repayments, for example, a fixed rate could limit you from making extra repayments hindering your ability to pay down your loan faster. 100% Offset Accounts 🧾: This is a regular transaction account that is linked to your home loan, any money in the offset account reduces the interest you pay on your home loan. If for example, you had $10,000 in your offset account and your home loan was $100,000 you would then only pay interest on $90,000. These 10 Tips will help you find the best home loan in Brisbane! Having a clear idea on your budget will give you a laser focus on finding the perfect block and home for you. In having no budget it’s easy to waste time looking at homes that you simply cannot afford. The best way to set a budget is to talk with your Mortgage Broker. Talking with a Mortgage Broker can help identify which banks will do a construction or build loan and which won’t. How much deposit do you need to build a house? In general, it is worth having at least $15,000 in savings to be able to build a house in Brisbane. There are a few ways of being able to build a house with no deposit. Buying a Brand New Home lets you qualify for the First Home Owners Grant, but there are some maximum property prices. Crunching the numbers is key to successfully building a home in Brisbane. Sarah 🙋‍♀️ has $15,000 in savings which is a good place to start, and if you have more than this in savings that is even better! If you are a first home buyer you also qualify for an additional $15,000 from the Queensland Government’s Great Start Grant so now you have $30,000! Tom 👨‍🎨 has saved a 10% deposit or $50,000 to build his house which he expects to cost in total $500,000. There are some additional costs to pay including stamp duty, legal fees and other moving costs which he will also need to have enough money in savings. Lorraine 👩‍✈️ has no deposit saved, but has been renting for the past 12 months and has a family member willing to give her 10% or $30,000 towards her build of $300,000 plus she qualifies for the Queensland Great Start Grant of $15,000! Dean 👨‍💻 also has no deposit, but his parents are willing to go as guarantors and the bank can take a second loan against their property to lend 100% towards his build which will cost $350,000 – and Dean also qualifies for the Queensland Great Start Grant. Do you qualify for the First Home Owners Grant and rebates? If you live in Queensland, are building a new home and haven’t owned a property before you qualify for the First Home Owners Grant. The First Home Owners Grant (aka the Great Start Grant) is $15,000 cash the government will give you towards your new home purchase. Is that you can use this $15,000 towards your deposit! The QLD First Home Owners Grant is still $15,000 & can be used for brand new purchases (or constructions). First Home Owners can get a land concession on their stamp duty ordinarily payable valued up to $7,175. First Home Buyers are entitled to a vacant land concession which is worth up to $7,175!!! West End is a popular suburb in Brisbane for First Home Buyers to complete substantial renovations in, but difficult to find vacant land in. What if you have a bad credit history and aren’t sure if you can apply for a loan? Bad credit history can be the result of a couple of small mistakes you might have made in the past, and it can affect your overall credit score. Missing a credit card repayment, or being late on a phone bill can affect your credit score. But don’t worry if you have had problems in the past we deal with lenders that can help, it is all case by case. If you aren’t sure what your credit history is, you can get a free report here or get in touch with Hunter Galloway and we can arrange a credit check for you. In this chapter, you get the basics down. So if you’re not sure what to look for when buying land to build a home, this chapter will get you on the right track. Building the perfect home starts with buying the perfect block of land. Building a Home in Brisbane comes down to choosing the right land! What should I look for when buying a block of land? The right block of land for you is going to be different from the right block of land for me. For this reason, it’s important to do your own market research. A flat block of land will make your build much cheaper than building on a slope. ✅ Work out your own property criteria – Do you want a yard, pool, lots of space or happy with a small block? Do you want to live close to the city or further out? ✅ Research the suburb & surrounding community – How long will it take to get to work? What is public transport like? Are there lots of nice cafes and pubs nearby? ✅ Get a soil test – A soil test (sometimes called a soil survey) will check that there aren’t any dangerous chemicals like asbestos on your land, and a soil bearing test can help determine if your builder will need to spend more on footings. ✅ Make sure there is good access – Ask a builder if they will have any difficulties with access, like a driveway off the main road which can sometimes cause extra costs. ✅ Look for infrastructure services – Confirm there are infrastructure services like stormwater, power and drainage connected? Is there the NBN or good telecommunication access to the block of land. ✅ Check council zoning restrictions – Make sure there aren’t any heritage or character residential restrictions, meaning you can’t put a modern looking house in an older suburb around Brisbane. These are the different soil classifications, with A being the best. Yes, unfortunately, this is something many homeowners overlook. Building experts believe that on average a slope of up to 1 metre can add 20% to your build costs. According to a sloping block specialist, a slope of more than 3 metres can become VERY costly, adding a minimum of $50,000 in additional costs. How do you make an offer on a block of land? Now you have completed your preliminary research and ready to make an offer on a block of land. Before you lock it down with an offer it is worth talking to your architect, potential builder or building design sales consultant to check your dream home can be suited to the land, or modified to suit the land. If they say yes, get a copy of that contract of sale! The easier the block of land, the less sloping and other issues the faster your builder can get started! This construction site was in Queensland. What should you do before signing the contract of sale? The developer (or real estate agent) will give you a copy of the contract of sale. ✅ The contract of sale has your full completed name one it – The details on the contract of sale should match your birth certificate, drivers licence or passport, and always double check your middle name is spelt correctly. ✅ How long you are going to need for your finance clause – Are you buying just the land, and constructing a few months down the track once you have done plans so you only need the land loan approved now? Or are you buying a house and land package where you want to get the land and construction loan approved at the same time? For a Finance Clause: More often than not 21-30 days for finance is fine, if you are in a competitive market you may need to consider 14-21 days for finance. In Queensland, the New Home Construction Contract is in plain English but still should be reviewed with a lawyer. You’re ready to sign the contract, do I need to pay a deposit? Once you have signed the contract of sale you will need to pay a holding deposit, usually, a small amount of $1,000 into the real estate agent (or property developers) trust account. This amount is usually refundable if you do not proceed due to finance, or any other conditions you have put on the contract. A second, larger deposit amount will be payable later. In this chapter, I’ll reveal some of my favourite “quick and dirty” home costing strategies. The best part? None of these strategies requires you to speak with a single builder. Try to build a home around the dry times of the year, this can save costs because you build will be done much quicker. The shorter the build, the less you spend on interest! The costs of buying a house have increased, in 2011-2012 we were paying on average $282,000 to build a new house but today this figure in Brisbane is closer to $450,000 for a 3 bedroom home. What does it cost to build a house in Brisbane? If you aren’t sure how many squared metres your house is going to be, you can use the Home Building Calculator, created by Cordell. 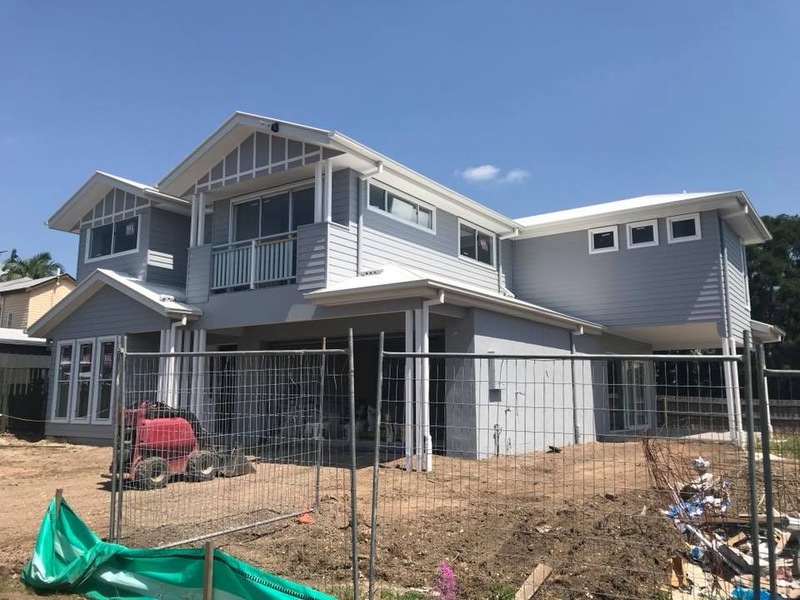 Follow the steps through, nominate your area, the construction type and how many bedrooms and it will give you an estimated price to build your home in Brisbane. The WFI Cordell Home Building Calculator is so powerful and can save hours tendering your project. And if you want to get super detailed, you can look at the Architect’s Cost Guide. Does it cost more to build a home outside of Brisbane? If you are building a home outside of Brisbane in a regional area like Cairns it can cost you 110% to 130% above the figures quoted. Building outside of Brisbane can add extra costs to your home build. Even if you have spoken to a builder, their contract or tender doesn’t include everything. There are extra costs you need to factor in. Quality of Soil 🧱 – The costings above have been factored on A Classification Soil which is the best quality you can get, but if your soil is more difficult to build on, for example, it has boulders or is clay then your costs can increase steeply. The slope of the block ⛰ – As we covered above, a 1m slope in the block can add an extra 20% to the figures quoted above. Other sources indicate an additional $6,000 to $9,000 per metre slope. Soil and Contour Test 🗻- This test will check your soil quality and the slope of your block and will cost between $1,500 to $2,000. Flood Prone Areas 🌊 – If you are building in one of Brisbane’s flood-prone suburbs (check if you are here) certain measures need to be taken before you can start building and the home will be required to be raised causing additional costs. Driveways 🚙 – Lots of build quotes only include the building, so anything outside like the driveway isn’t included and has to be paid on top of the building contract. A good way to cut expenses here is gravel the driveway yourself. Landscaping, Gardening & Fencing 🌴 – Again the builders quote only includes the outside, and many banks will require you to pay for landscaping, gardening and fencing to approve your loan so you will need to get a quote and factor this expense in up front. Curtains 🌅 – Although you would think the builder should include these, they quite often don’t include curtains, blinds and any window fittings. These can add an extra $2,000 to $10,000 depending on the types of blinds or shutters. Other stuff 🏗 – Other common costs that are often forgotten are small things like the letterbox, pavers for your outdoor living area, a shed or solar panels. All these small things can add up fast! Slightly sloping sites and cost you tens of thousands of dollars extra! There are extra costs to consider, including building on a slope. What is the cheapest you can build a home in Brisbane? There are some really affordable options out there if you are looking to build on a budget. Keeping it small will save money. Smaller houses with simple backyards will cost much less than larger ones. The cheapest build we have seen is for a 4 bedroom house in Ellen Grove, 25 km south of Brisbane. It was investment grade, so low level of finishes and basic landscaping and cost $275,000. Now you have an idea of the costs of building a home you can decide the best way forward. Will you be buying a project home, or doing a custom build? While it can be easy to get excited looking at different house designs, kitchens and finishes it’s important to stick with what your Mortgage Broker had outlined for your budget. Assuming you have finished designing your home and you have completed your site analysis it’s time to find a builder. Badly designed homes can cost you more in the end, so take time to understand the plans and what you are paying for. 1. Individually search for builders online, and invite individual builders to prepare a quote for your house (also known as a tender). These days it is common for builders to request a fee to prepare a quote but you can negotiate this down, or request the fee to be refunded if you proceed with them as the builder. 2. Create an open tender that publicly advertises multiple builders to quote on your house. In an increasingly competitive building market, it is less likely to get lots of high-quality builders. This can also create a disincentive for builders to quote as they know they are up against other builders who are effectively competing in price. In the eyes of the builder, the first method is preferred as it puts emphasis on the builder whereas the second open tender process has more emphasis on price. Finding the right builder is critical in building a house. At the end of the day, your choice of builder is important because without them your home will never get built. By the end of this process, you want at least 2 to 3 tender packages which will provide you with a complete scope of work, building schedule and information you will need to compare apples with apples across your builders. What is in a typical tender package? A building contract is a contract that is a legally binding document between you and the builder, this outlines the terms that you have agreed with, the timeframes and total costs of your house build. As with any legally binding document, it is best to review this with a lawyer before signing it. You need a building contract in Queensland when you are getting a builder to do more than $3,300 in construction works. Note: In Queensland, by law, the deposit cannot be more than 20% of the contract price, where more than 50% of the work is to be carried out off-site (i.e. kitchen) or 5% for work valued $20,000 or more. If your builder is asking for a higher deposit this could be a warning bell, so if unsure contact the HIA. This is what a progress payment schedule looks like. Once you have signed the contract you will need to pay a deposit to the builder to start construction. At this point, the builder may arrange a follow-up soil and land contour test. This costs up to $2,000 for a single story home, and up to $3,500 for a double story home. Double story homes in Brisbane can cost extra to construct on. Don’t forget to get quotes for the extra work! As I mentioned above, the builder is responsible for building everything inside the house but generally not much outside. In a perfect world, the bank will approve your construction loan quickly and easily. On the bright side, I’ve found that construction loans can be easy provided you give the bank the right information up front. So if you are looking to build a home and need a construction loan, follow the steps in this guide. First, why are construction loans so complicated? There are lots of people involved in construction loans. Building a home involves bringing together lots of different people and professionals, from Architects, Real Estate agents to builders and mortgage brokers. Use the skills of your mortgage broker to help manage everyone. A high number of banks and mortgage brokers are not familiar with the construction loan process at all. And as a consequence, there are lots of challenges in financing a house build, including providing the wrong loan amount or delays in paying the builder. At Hunter Galloway we specialise in Construction Loans, we have a decimated Construction Team who will assist you in arranging payments to the builder. Second, how does the bank value my soon to be built home? To approve a construction loan your mortgage broker will arrange it as ‘if complete valuation’. But what it will be worth once the construction is completed. The as if complete bank valuation will give you the final value the bank will lend against, this is called the market value or as if complete valuation. The building specification details all the particulars like tap types, oven brand and size of tiles. With this information, your broker can order a bank valuation. For some major banks like NAB, even if the valuer makes the property value higher they will just adopt the land + improvements value. ✅ 1. The type of home, plan and style: Specifically the number of bedrooms, number of bathrooms, floor area and any recent property sales in the area that are similar. ✅ 2. What you originally paid for the land: The valuer in some cases will just get the price of the land PLUS the price of the construction to determine the value of the house. ✅ 3. The additional costs you are paying: Items like the pool, landscaping, solar panels, fencing, driveways etc will factor into the final construction valuation. The bank wants to know if something goes wrong they can recover any costs they have lent out. How long does it take to get a construction home loan approved? Putting together a home loan application for a construction loan can take a little bit longer than the standard home loan process (5-7 business days) because you also need the building contract, plans and specifications. You also want to have your bank valuation completed as the value can vary significantly between different banks. Getting your mortgage to arrange a pre-approval beforehand can really speed things up. Once your loan is approved your mortgage broker or bank will arrange payment to the builder in the stages of construction. At each stage, you will need to complete a progress payment request which will authorise the bank to make a payment to the builder on your behalf. The builder will also give you an invoice which will include details of the work that has been completed, and the amount to be paid. Read More: How Does a Bank Pay the Builder Directly? Are there any common mistakes of construction loans to avoid? If you had your loan pre-approved as we detailed earlier, getting your loan unconditionally approved should be fairly easy. These simple errors can completely derail your construction loan, and the bank may not honour their original pre-approval. Do I make home loan repayments during the construction? You make interest-only home loan repayments while you have a construction home loan. This is because you will still need to pay the costs of living somewhere else, and to help you manage the cash flow your mortgage broker will arrange interest only home loan repayments to be made monthly while your house is being built. On a $300,000 home loan, the regular principal and interest repayments at 4% are $1,583 per month (over 25 years) compared to interest only repayments during a construction period of $1,000 per month. First, you will complete both the land and the loan settlement. (Don’t worry you won’t need to attend the settlement this will be completed by your bank and your solicitor). Second, the bank will start making progressive payments from your loan to the builder. The deposit stage relates to any pre-work that needs to be completed before starting. The builder might need to order material for your home, like concrete, pipes or bricks. How much should I pay at the deposit stage? You should pay 5% deposit assuming your build contract is over $20,000. At this stage, your floor plans should be completed and your focus is on getting your builder on site and moving! The base stage is completed when the concrete slab has been poured and finished. How much should I pay at the base stage? You should pay 15% assuming you are using a standard HIA Progress Payment Schedule. When you receive the builder’s invoice for the base stage it is important for you to visit the building site, make sure you are happy with the work being completed and then let your mortgage broker know to arrange for the bank to release payment. If you have qualified for the Great Start Grant you should have also submitted your application by this point. After the slab has been poured the builder will put the progress payment claim in. The building’s frame is finished, wall frames are fixed, roof frames are fixed and all tie downs and bracing is complete. The bare walls are up, and you can see the space that will be your home! How much should I pay at the framing stage? You should pay 20% assuming you are using a standard HIA Progress Payment Schedule. When you receive the builder’s invoice for the framing stage you would have most likely met with the builder on site to check you are happy with the work completed and let your mortgage broker know to arrange for the bank to release payment. Build Stage 3: Framing. Now you are at frame stage. The house to have all external walls cladded, the roof is fixed, and all external doors and windows are fixed. So at this point, you want to be able to lock up your home and you shouldn’t be able to walk straight in. How much should I pay at the enclosed stage? You should pay 25% assuming you are using a standard HIA Progress Payment Schedule. As with the build stage 3, provided you are happy with the work to let your mortgage broker know to release payment to the builder. The enclosed stage is when you are nearly done, the windows and doors are on but painting might not be quite finished. The house to have all internal lining, architraves, cornice, skirting, doors to rooms, shower trays, wet area tiling and built in cupboards fixed in position. Right now you want to have your kitchen in, the walls to look complete (but might not be painted yet) and some flooring in but things like carpet not quite in yet. Almost there, just the landscaping to go at fixing stage! How much should I pay at the fixing stage? As with the previous stages, provided you are happy with the work completed by the builder you can let your mortgage broker know they can release the payment to the builder. Installing the kitchen is one of the last stages of building a house. The day all the work is completed, in compliance with the contract including all plans and specifications for the work and without any defects or omissions by the builder. At this stage, your home should be complete! You should have been through the house with your builder and noted any defects or issues which they should have fixed. How much should I pay at the practical completion stage? You should pay the last 15% assuming you are using a standard HIA Progress Payment Schedule. ✅ 1. Final Inspection Certificate: The building certifier will visit the property to confirm it has been built in accordance with the government and local council requirements. The final inspection certificate is also known as the occupancy certificate and means you can live in the home! ✅ 2. Final Valuation Inspection: The bank will arrange for a valuer to complete one final visit to confirm the property has been completed as outlined in the construction contract and nothing has been missed. ✅ 3. The owner’s handover: As the owner, you will be given a detailed tour of the home with the builder. They’ll explain how everything works, and give you the opportunity to identify any defects (like scratches in the wall, or areas they might not have painted that well) and give the builder to fix anything they may have accidentally missed. The builder has 10 days to fix these up. When you are completely happy with the house you can instruct your mortgage broker to arrange the final practical completion payment. Working with the Best Home Loan in Brisbane will make building your house much easier, and stressfree. You finally made it, moving day! If you would like to chat about building a new home and getting a home loan we’d be delighted to help you out, speak with one of our experienced mortgage brokers to walk through the next steps with you. At Hunter Galloway we help home buyers and those wanting to build a new home get ahead in this competitive market, we give you the actual strategies that have helped other home buyers like you secure a property when there have been 5 other offers on the table! Enquire online or give us a call on 1300 088 065.